For the first time in 43 years, the YMCA has unveiled a new brand strategy to increase understanding of the impact the nonprofit makes in communities. 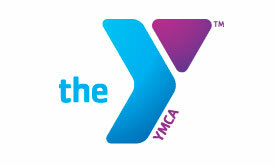 The YMCA has the unique capacity to address many of the challenges facing the nation today. Through its new brand strategy and framework, the nonprofit will extend its reach into communities to nurture the potential of youth and teens, improve the nation’s health and well-being and provide opportunities to support neighbors. The new brand strategy – the result of more than two years of analysis and research – was introduced today at a National Press Club event that included leaders from the philanthropic and nonprofit communities. The YMCA unveiled a new, more forward-looking logo that reflects the vibrancy and diversity of the organization, and a framework that focuses resources on three core areas: youth development, healthy living and social responsibility. In another major change, the nonprofit will be called “the Y” to align with how people most commonly refer to the organization. The national resource office, YMCA of the USA, has already begun the transition to the new brand. Ys across the country will transition fully within five years. As part of the Y’s assessment of community need, the organization surveyed a cross section of Americans to learn more about the most pressing issues and challenges facing their communities today. Among the key findings of The Y Community Snapshot –56 percent of Americans are strongly satisfied with their own lives today, while 66 percent say the current quality of life in their community is worse than it was a year ago. When asked about what the future holds for quality of life in their community, Americans were divided – 51 percent were optimistic about the future while 49 percent were not. “People are concerned about the problems facing their communities. Like the Y, they understand that lasting change will only come about if we work together to improve our health, strengthen our families and support our neighbors. Our hope is that more people will choose to engage with the Y,” added Nicoll.